Our community pantry helps to provide food to those who need it most. This is a ministry that we stock our pantry with non-perishable foods and even some toiletries to help our community when they need it most. It is purely confidential. We don’t ask people to let us know they have taken items. We try to keep it stocked and when it is running low, we provide a phone number for others to alert us when it needs refilling. 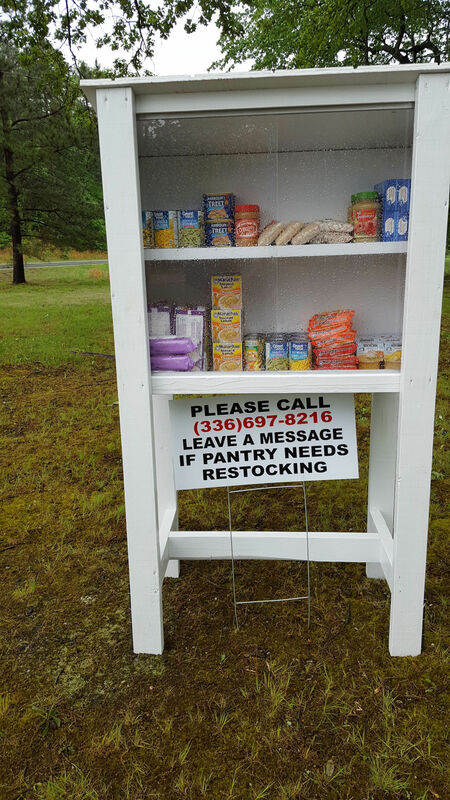 Since this is a community pantry, it is open to the public. The public can even donate to it if they see it needs restocking. This is just part of how we want to help our community continue to flourish.